Describe the brand in five words. Gwyneth. Clean. Toxic (non). Diptyque (packaging). Kale. That’s literally what springs to mind. Aloe Barbadensis (Aloe) Leaf Juice*, Citrus Medica Limonum (Lemon) Juice*, Pyrus Malus (Apple) Juice*, Vitis Vinifera (Grape) Juice*, Vegetable Oil, Glycerin*, Glyceryl Stearate, Polyglyceryl-6 Tetraoleate, Jojoba Esters, Coconut Alkanes, Caprylic/Capric Triglyceride, Fusanus Spicatus (Sandalwood) Kernel Oil, Hydroxypropyl Starch Phosphate, Polyglyceryl-6 Distearate, Squalane, Hydrogenated Olive Oil, Olea Europaea (Olive) Fruit Oil*, Prunus Amygdalus Dulcis (Sweet Almond) Oil*, Iris Pallida (Sweet Iris) Leaf Cell Extract, Narcissus Poeticus (Poet’s Daffodil) Flower Extract, Caprylyl Glycol, Cetearyl Alcohol, Lonicera Caprifolium (Honeysuckle) Flower Extract, Palmitoyl Tripeptide-5, Euphorbia Cerifera (Candelilla) Wax, Xanthan Gum, Tocopherol, Caprylhydroxamic Acid, Coco-Caprylate/Caprate, Helianthus Annuus (Sunflower) Seed Oil. *Certified organic ingredient. This product is formulated with 78% organic content. ‘goop by Juice Beauty products were formulated without any of a long list of ingredients linked to harmful health effects – including, but not limited to parabens, petroleum, pesticides, propylene or butylene glycols, phthalates, sulfates, PEGs, TEA, DEA, GMO, silicones, gluten, artificial dyes or fragrances. Possibly acne/allergy/troubling for some ingredients? Natural? Organic? Man made? Vegan? Tested on animals/sold in territories that advocate testing? Nice. Very, very faintly of weak cucumber, but not in a bad way, and I hate cucumber. The smell disappears almost as soon as it is applied. How does it feel on the skin?/Absorption rate? It feels beautiful, absorbs slowly (which an organic product should do) but surely. No residue. How do you use it?/Where to use in your routine? The usual, before everything else, after you’ve cleansed and toned, AM and PM. How long before you should see results? Depends on the state of your eyes. If they are dry/dehydrated, you’ll see an instant fix. If they are lined, it will relieve the immediate ‘look’ of the wrinkle, but take longer to smooth out. How long did I test it for? How much is it? /Size/Approximate cost per usage? 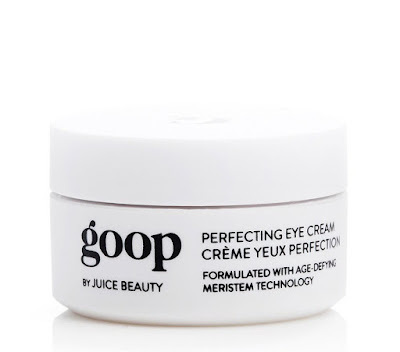 goop hype be damned, I love this eye cream. It’s now up there with Tata Harper in my favourites pile. It hydrates, softens, blurs lines, smells lovely, goes on beautifully, works all day, and doesn’t make me puffy. 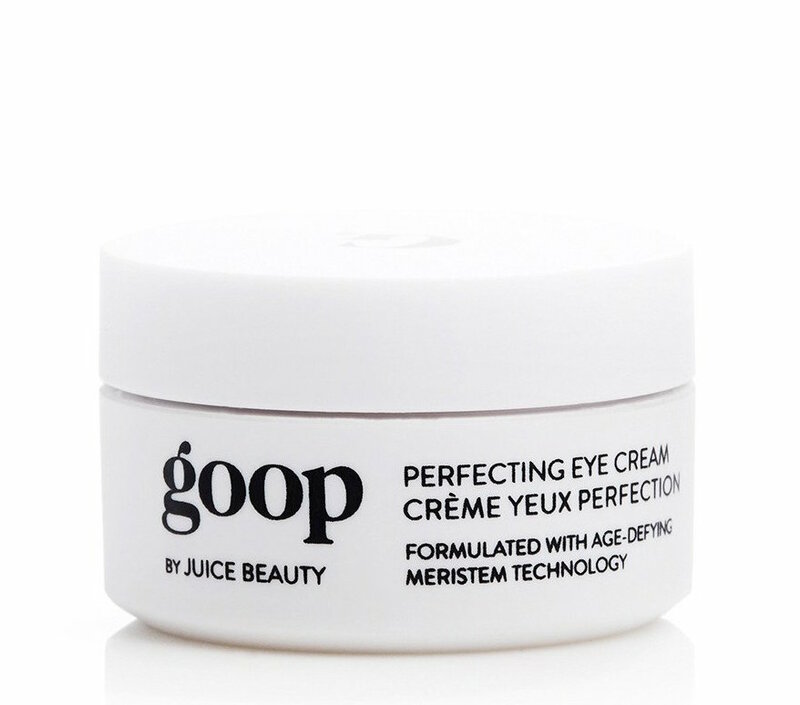 I had major eye surgery over Easter (video and more info coming on that – just haven’t had time) and this was one of the creams I chose to use afterwards when they were very delicate and healing. The price. It’s $90.00. Compared to other high end creams, it’s in a similar vein, but when most of the other products in the line are only about 20 bucks more, for double the quantity, its a bit hard to swallow. It also means when it does eventually get to the UK, it’ll probably be about £75.00, similar to Zelens and Tata Harper. Let’s just ignore the whole ‘non-toxic’ thing shall we as I fear I will begin to sound like a broken record? Anything. Eye creams are good like that. Great. It’s just an extension of the original goop site, so it’s black & white, easy to read, and had all the ingredients without having to click on 7 different links etc. Yes. I’ve used mine up, on myself and my facial clients, which means asking friends to buy and ship it to me again from the States. Get your arse in gear Gwynnie, we want it over here.